The Statue of Liberty is relatively new in comparison with other historical monuments of the world. So its history is it not as long as these of the Forbidden City in Beijing, for example, or the city of Pompeii, Italy. 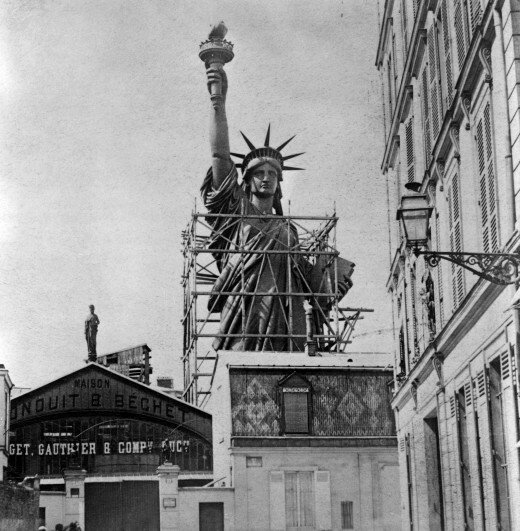 The adventure of the Statue of Liberty begins April 21, 1865, in France, more precisely in Glatigny, a commune in the Moselle department to twelve kilometers north of Metz. This day was held a meeting of Republicans, lovers USA, wishing to celebrate the abolition of slavery in this country. The story made them celebrate, alas, the memory of US President Lincoln who had just been murdered, six days earlier. During the dinner the meeting organizer, the politician Édouard de Laboulaye, a professor at the College de France, made a speech of a rare verve that subdued the audience, speech in which he proposed the idea of ​​the construction of a gigantic statue to offer Americans to seal the friendship between the two countries. 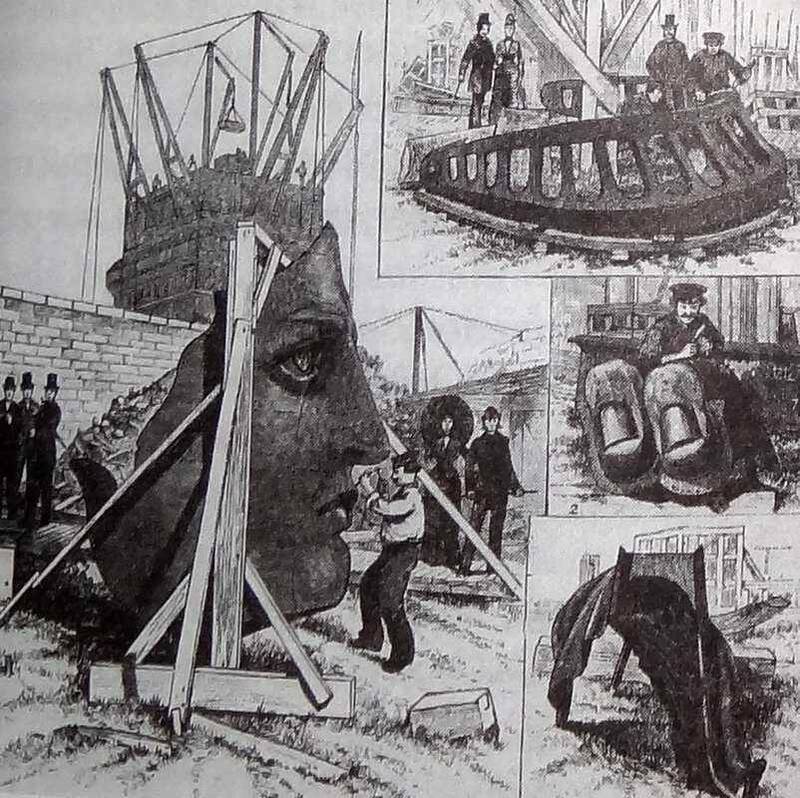 In the audience was the Alsatian sculptor Auguste Bartholdi, a friend of Laboulaye, who was already working on such a statue intended to decorate the entrance of the Suez Canal. It was intended to magnify the French genius. It then proposed to Bartholdi to change the destination of her statue, which he accepted. It must be said that the idea of ​​competing with the ancient lighthouse of Alexandria by a marvel of modern times was rather tempting. 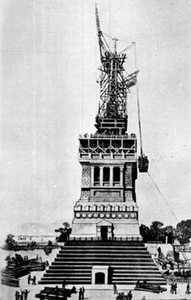 Thus was launched the crazy idea of building a giant statue to offer the United States for 100 years of independence. The scope of this choice was far greater than what one could foresee at the time. Indeed, France is losing its monarchic regime with a very weak second republic, the Prussian war precipitated. Isolated politically, the country is seeking a future and naturally turns to a new nation, the young. Against France, the United States emerging from civil war five years, known as the Civil War name (1861-1865). The country is reunified, and all ideas are welcome. The project of this statue is then a chance for the two countries, which will be exceeded for achieving create. In each country the financial needs are important, and only a union of forces allowed to provide such funding, both in France and the United States. 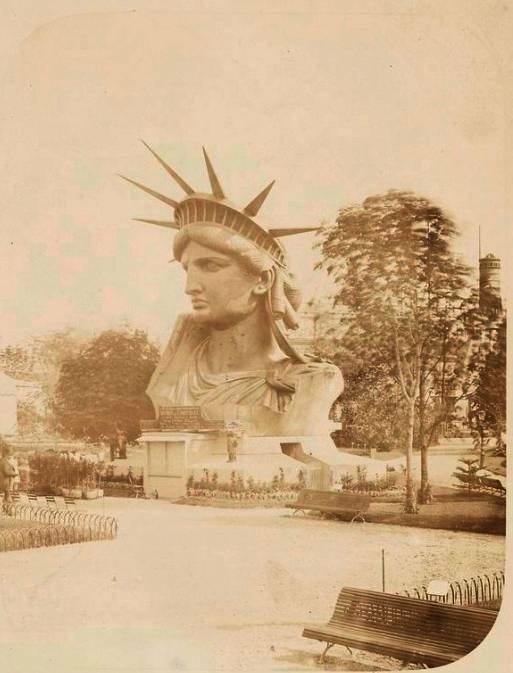 When France proposed the construction of this gigantic statue it was decided that it would be located in New York. 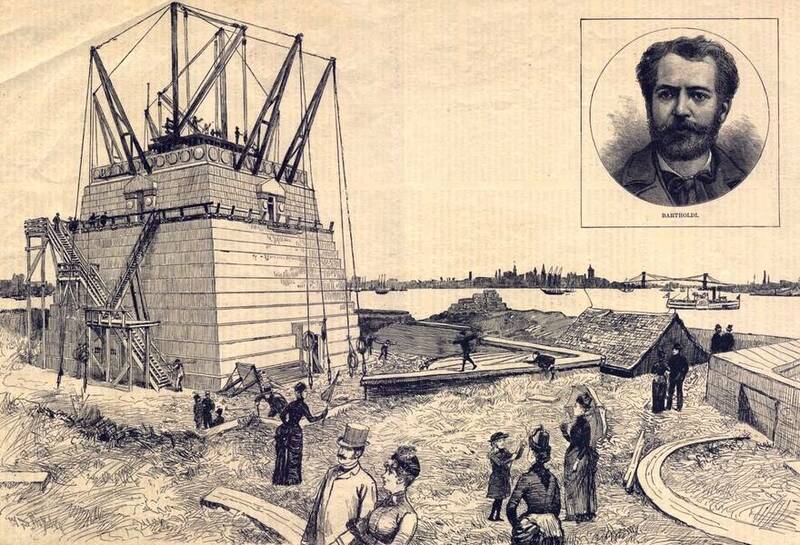 Bartholdi, mandated by the French financiers, made several trips to the United States to scout locations and found Bedloe's Island on her first trip in 1871. Located here, the Statue of Liberty could face Europe and it could welcome migrants. However the decision on the site was not for him and that is the US Congress chose this island, through its representative Sherman. 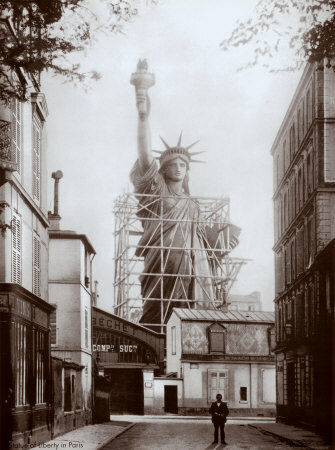 Funding for the Statue of Liberty has been difficult to achieve, especially since it is not one but two funds had to be done: A France, the other in the United States. In France, these are the gifts that launched this project. A huge collection Fund was launched in 1875 and continued until 1880, the initial invoice has been multiplied by 2 and a half. Thousands of individuals have joined many organizations and French administrations concerned with the image of their country against foreigners. Total funding totaled 1,000,000 francs at the time, a very large sum of course. To help show its funding was made in Paris for the Universal Exhibition of 1878, the head of the statue, in the Campus Martius. The picture went around the world ... and brought a large enough sum to continue the work. I must say it was worth visiting for 5 cents, but he had to take a top 43m staircase to reach the inside of the head. 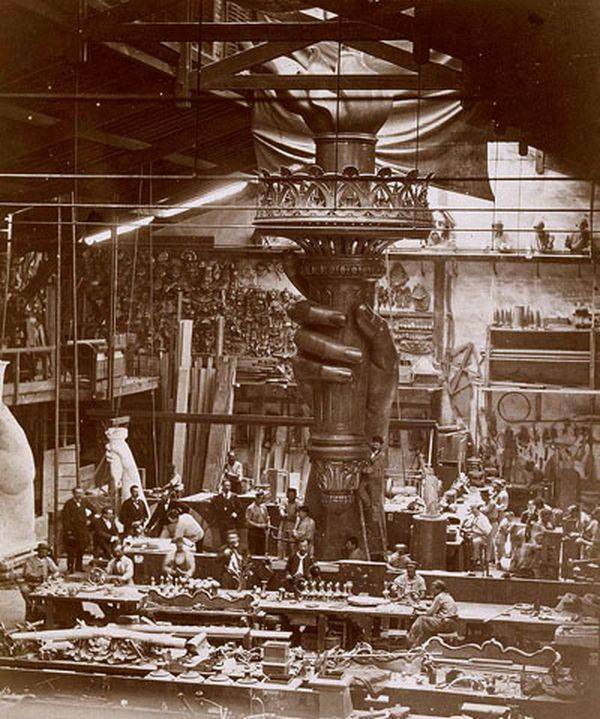 American side of the 1876 Centennial Exhibition was a boon for funding: Arriving at through courses, little evidence had been produced, but the arm holding the torch was exposed, proving that the work progressed. During the exhibition Americans bought many photographs or objects "marketing" (at a time when we do not use that word), which allowed the work to continue. The arm holding the torch remained in Philadelphia 5 years before returning to France to be adjusted on the rest of the statue. During the exhibition, we organized many events like lotteries. The composer Offenbach was invited to celebrate the future statue, he made a story in her book "Notes of a traveling musician." As for the pedestal, it was the responsibility of the US but cost just as much as the statue itself (125 000 for the original price). 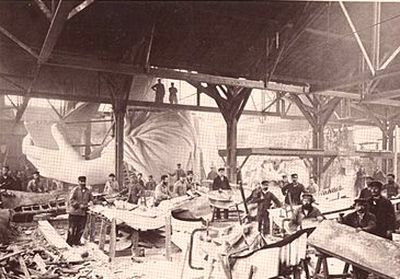 Again it was funded by many individuals and some companies and by festivals or sporting events (boxing matches in particular) A showdown between Bartholdi was hired, came to America to defend her project, and wealthy entrepreneurs willing to put their hands in the pocket on one condition: That the name of their business is on the base. Which was refused, hence the need to fund the base by other means, including sports events. Finally it was Joseph Pulitzer, founder of the newspaper "New York World", which finally convinced the middle classes to participate in financing of the statue with a particularly visible information campaign. It must be said that the time was serious: By funding the construction site down the base had stopped in the middle and nothing seemed to indicate that he would resume a day. However, during this time the French were advancing the statue was going to need a good business location. Hence the grip of Joseph Pulitzer, which triggered media fundraising at the height of the project, empowering the middle class. It remained to define more practical points. Starting with the statue itself, which is how it would be built. 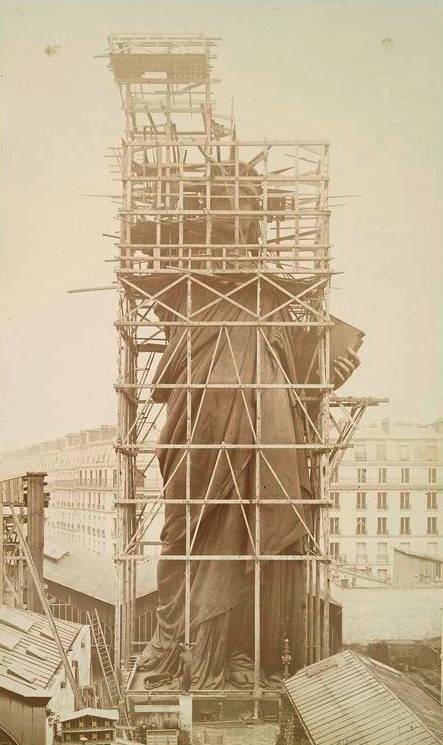 Auguste Bartholdi decided that she would be copper, manufactured under the mechanism of "rejected". Copper plates 2m 3 will be worked through in strength until they take shape by the architect. The assembly would be done gradually, piece by piece, then all would be mounted in full before being disassembled and reassembled on site. The internal structure would be hard as a central pillar masonry filled with sand. The power of the waves would thus inconsequential to the statue, which was intended to be installed near the ocean. However this solution will be quickly abandoned to make way for a forged iron structure more flexible, which oscillate with the winds. Meanwhile US go up the pedestal at will, however respecting the plans of the engineer in charge of the internal structure, so that the statue comes together perfectly. Engineers from both countries regularly would make with their colleagues and would communicate constantly. 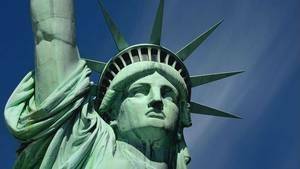 The site is an initiative of the American proposal Bartholdi. Finally, the inauguration would take place 100 years after the Declaration of Independence of the United States to the day. Alas, if the project took place less correctly, this latter condition was far from being reached, since the statue was inaugurated... with 10 years late! The statue itself is a 100% French construction while the pedestal, masterful too, is 100% American. Thus divided, the task was easier to manage. In the initial project, which also was followed to the letter, the French were responsible for the construction, transportation and erection on site. The general outline of the statue is quite simple. It consists of an internal structure forged iron covered with copper plates pushed. These plates are hammered on a solid wooden jig until the desired shape. In total the statue weighs 254 tons and consists of 300 plates, of which the first 64 were given by industrial, allowing the construction to begin. These plates were "pushed" workshops "Gaget, Gauthier and company." (Hence the word "Gadget", later popularized by the Americans who associated name workshops for small items to buy advertising to partially finance the project) These workshops had been bought from the company "Monduit Bechet and" it which explains why these two names appear in many documents, especially in photographs reproduced below. Gaget was an architect and Gauthier, an engineer, who had to specialty plumbing, roofing, works of art and the distribution of water in urban areas. It was the greatest Parisian manufacturers in their specialties: We already had their blankets domes of the Opera of Paris, the water pipes of Paris, the Campanile Hotel des Invalides, etc. The construction technique was simple enough, whatever long to implement. First the workers were building a wooden frame, made with cleats, taking shape. Then it was plastered to a full size of the molding part to be reproduced. Once done, this plaster served as negative image for the construction of a wooden template, solid, him. The coppers were "pushed back", that is hammered into force on the jigs, cold on established specifically designed for it, until the shape of the plate matches that of the template. The finished part was passing to other workers who had to polish the charge plates and then adjust them to form a single element of the statue. The elements were assembled using nuts invisible from the outside for the initial assembly in Paris and they were riveted to the final assembly in New York. Most of the photographs below were taken by Albert Fernique. The structure was made in the Gustave Eiffel workshops in Levallois Perret, and in the seventeenth arrondissement of Paris, where the copper coins amounted to. While Gaget workshops, Gauthier and Company built the elements one after the other, the internal structure was supposed to start but you must initially know its construction was entrusted to Viollet-le-Duc, which provided a solid masonry unit around which was to graft the copper plates. Violet-le-Duc became ill, he could not make this work that was entrusted to Gustave Eiffel. It gave up the idea of ​​masonry and wrought iron chooses whom he had made a specialty. This choice was not stupid to the extent that it allowed the statue to move a little, depending on the wind. It therefore has flexibility that gave him the elasticity needed to cross time. Besides building also had to deal with an unexpected problem. Bartholdi judged in fact that the head and the arms are too close to one another. To overcome this drawback he shift the arm to the right and 46cm front and 61cm head on the left, but without informing Eiffel. The latter therefore not changed its structure and for 100 years the statue was an internal bracing structure relative to its envelope. The entire internal structure only used 120 tons of wrought iron, but a whopping 300,000 rivets! Each piece of the statue was stored in the yard Gaget and Gauthier workshop waiting to be assembled. The first two songs were the torch and head, two essential elements that could show the public the progress of the work clearly. The idea was to do a full installation of the statue before sending it to New York. 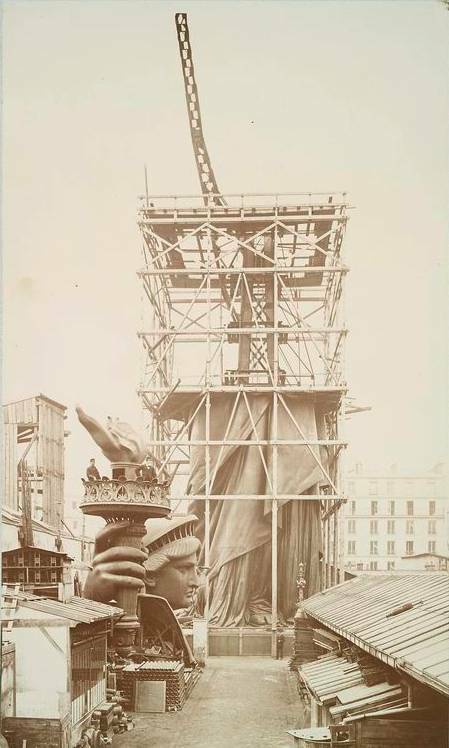 Of course, Bartholdi did not wait for all the pieces are completed to begin the assembly, it was just that the framework is ready, at least to a certain height, to begin work. The statue mounted in central Paris, in the workshops and Gaget Gauthier. The first step in installing the statue in Paris: the internal structure. The second step of mounting the statue in Paris: the bottom of the gown. The third step of mounting the statue in Paris: up, yet without the arm. The final stage of mounting the statue in Paris: the mounted assembly. It was made from 1882, the statue is completely finished in 1884. 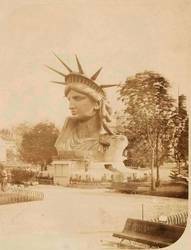 That year Bartholdi informed her American correspondent he had finished the job and wanted to keep the statue in Paris until July 4, 1884, which allowed many people coming to see the monument. There was a ceremony to formalize the gift of France to the United States this July 4th 1884. 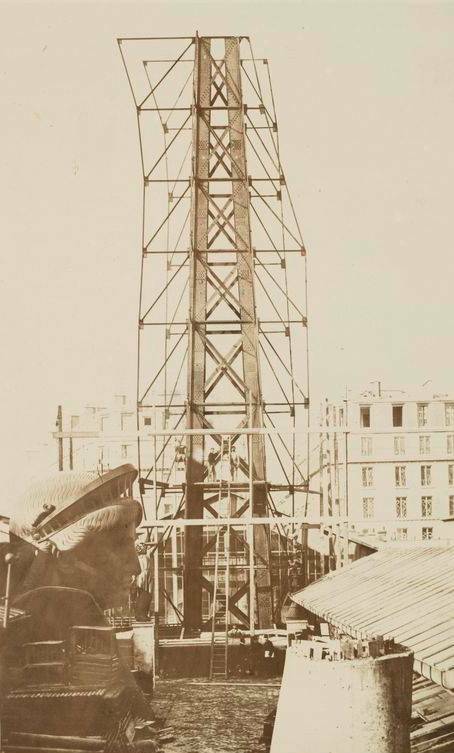 The Parisian landscape was for a few years, dominated by the imposing metal structure 46 meters high that crushed her waist while the Monceau Park close. In 1884 the all-Paris had taken interest in the statue. You have to imagine that without the Eiffel Tower, which will be built a few years later, neither the modern towers of the current Paris, the Statue of Liberty was the highest of the capital building. The Parisians came in number and could see the visit, amount to the head or to the torch. The statue also visited by personalities such as Victor Hugo, which was the last exit, in which the sculptor gave a piece of her work. Once the visit he had these words: "The sea, the great agitated, says the Union of two large land subsided This pledge of peace between America and France, remains ongoing.". In March 1884 Jules Grevy, president, formalized this statue honoring her presence. At the same time that the official or other important people are the people of Paris that pressed now in the northern districts of the capital. Everyone wanted to see the statue, a gift from France to the United States, and as time went on, there were voices asking that it remains in Paris. 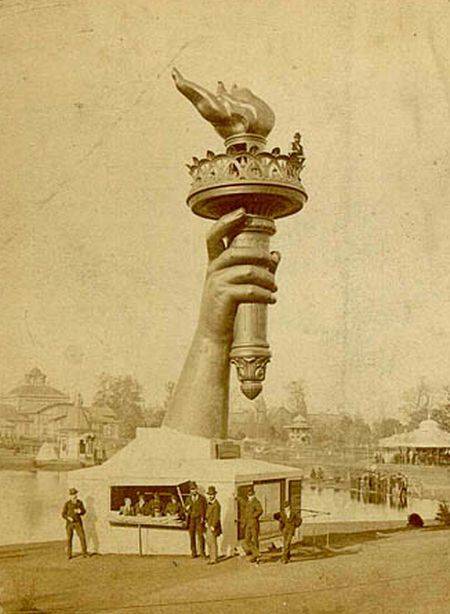 But the promise was to be held and Paris lost its colossus, but did not lose everything: In recognition, the American community in Paris offered a replica of the Statue of Liberty, which was installed on the Isle of Swans. Initially turned to places of power orientation was changed in the 30's so it faces the big sister, the same time that it has been perched on an enormous pedestal that allows him to get out of the surrounding buildings. In 1885 it was the time of removal. The US base was over and he had to think to deliver the statue. Then began dismantling, which was done relatively quickly. 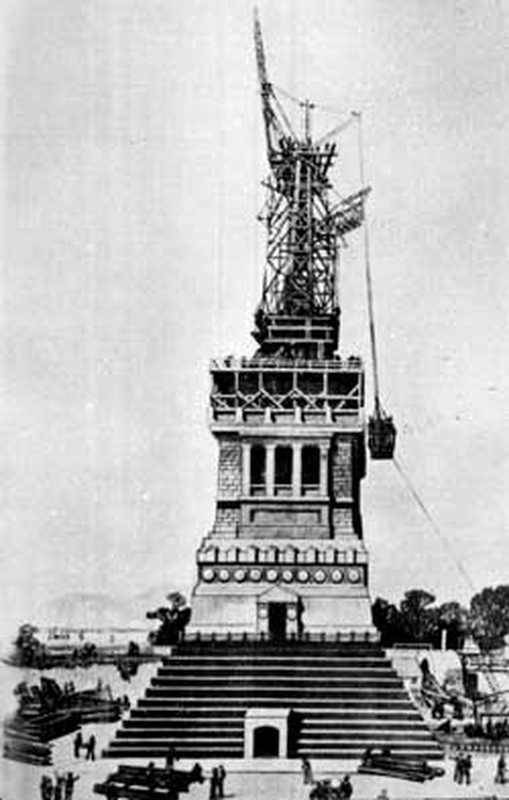 It was first up scaffolding to form a new steel cage, which allowed the workers to withdraw them temporarily set screws instead of rivets provided to final assembly in New York. Once done, the different parts of the gigantic puzzle were crated and closed. 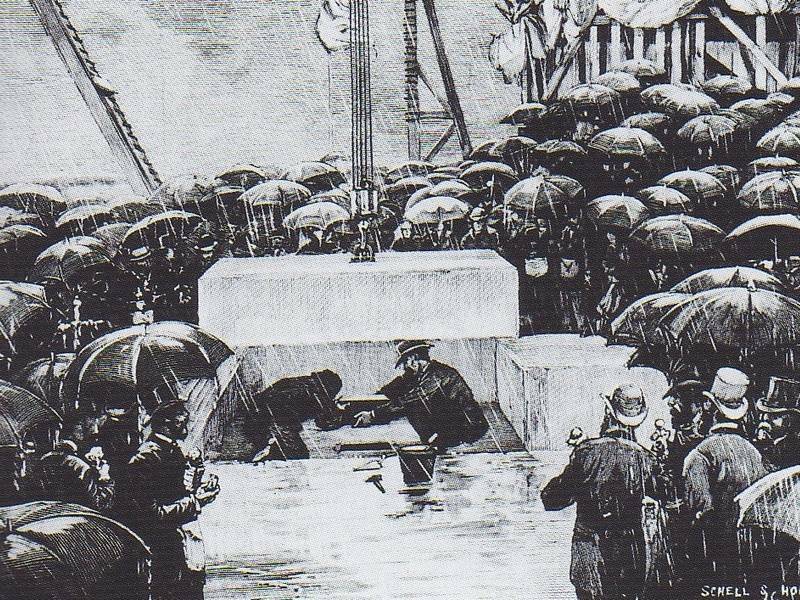 Laying the foundation stone during a rainy day. Meanwhile the US Attorney General William Evarts was appointed to carry out the pedestal. But fundraising was weak and had to implement the press for help (see "Financing"). In 1884 the funding was completed and the engineer Charles Pomeroy Stone was appointed responsible for the technical part, under the command of architect Morris Hunt. Morris Hunt was a Liberal member of the Franco-American Association, the Union League Club, which launched the idea of ​​the statue. He was the architect of the great houses of the wealthy families of the East Coast and had made a number of large public works. Famous architect of the time, Hunt proposed a grandiose plan that will be executed at any point. 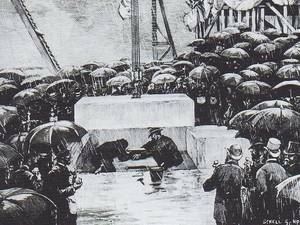 The construction took place between 9 October 1983 and 22 August 1886, although the first symbolic stone was officially laid in August 1884. These stones were extracted from the Beattie career in Connecticut. It is a stone of a beautiful granularity, which was used previously for the Brooklyn bridge piers. The reason for the choice is that this stone is particularly resistant to the marine air, which is not the case with all the stones that would be quickly eroded. 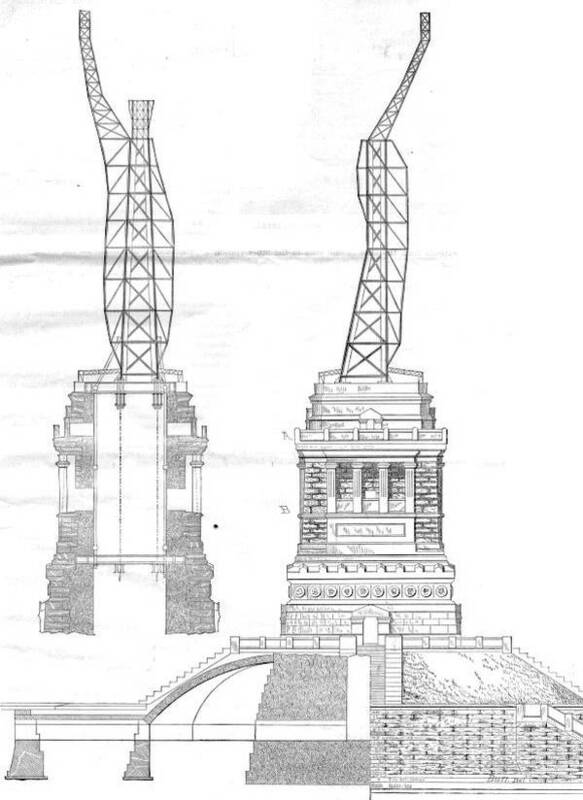 Simplified map of the internal structure of the Statue of Liberty. Map of the internal structure on its pedestal. This is a late plane since the establishment of the statue on the pedestal was one of the last challenges to the engineers who worked on thousands of kilometers away. 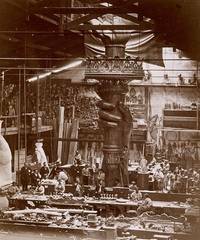 Picture of the construction of the pedestal. Burning construction of the pedestal, taken from the 29th volume of "Harper's Weekly". This base has required a large labor force and employed many workers who were to come regularly to the island. A small village was mounted to the east, as shown in this print. 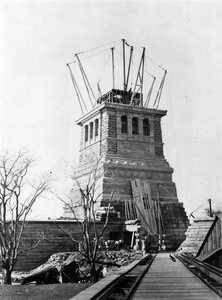 The pedestal during its construction. The construction base. We distinguish wooden frames for supplying the stones at the top. The workers and personalities pose as nobody does more today. The statue was created piece by piece, first arm and the torch, then the head, then the body. Between 1881 and 1884 it was assembled in central Paris, rue de Chazelles in ancient workshops "Monduit Bechet and" become "Gaget, Gauthier and company." 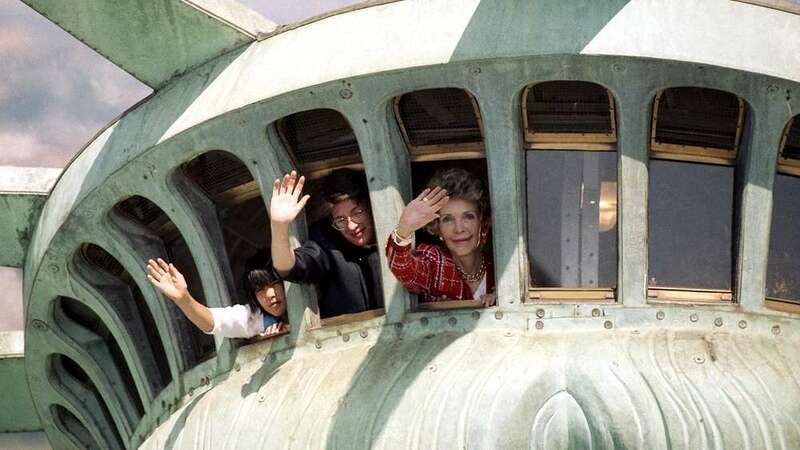 When it was over there was a ceremony to formalize the gift of France to the United States on July 4, 1884 (Independence Day of the United States). 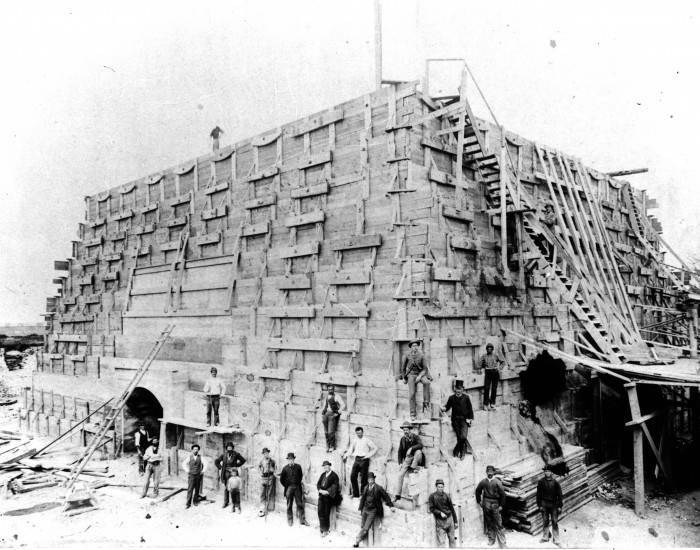 Only eight months later, in February 1885 we began to disassemble in 350 pieces that took place in 210 crates. The April 30, 1886 was forwarded each piece in Le Havre, using the train from Gare St. Lazare to Rouen and then the boat along the Seine to the port, and charged all at Isère edge , a French frigate whose command was assured by Count Saune. The Isère is a frigate, is a military transport ship led by 5 officers and 60 sailors, operating both sail and steam. With its boiler 550cv, it could reach a speed of 8 knots in calm weather. On board took Frederic Bartholdi, accompanied by her wife and gentlemen Gadget and Gauthier. Isère weighed anchor May 21, 1885 for her journey across the Atlantic, with the support of Admiral cruiser "Le Flore", the North Atlantic naval division's command ship. Between 27 and 29, she met a heavy swell and had to join Horta, Azores, to shelter. June 5 Isère resumed her road to the port of Hook Sundy then stopped near Gravesend Varrazano bridge. She finally manages to New York June 17, 1886, where a large crowd cheered. 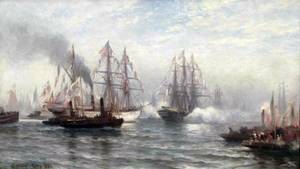 The arrival in port was significant because more and more ships had joined the convoy at her approach. Finally it is a set of 90 boats of all sizes, which entered the port of New York under a salvo of artillery intended to wish a safe arrival Isere. The landing of the statue took place with great enthusiasm on the part of the Americans in the presence of Rear Admiral Lacombe, commander of the "Flora". Once discharged statue, Isère joined her home port, Brest, July 3, 1885. The various parts of the statue placed everywhere on the floor, on the island Bedoe. But this is not because it was delivered the statue was immediately mounted. It was not until the spring of the following year, 1886, the last stone of the pedestal asked. It is only from there, the US delay being filled, the workers attacked to its construction, which was done in 4 months. The workers had a lot of difficulties to go back because they could not use the same techniques as in Paris. Indeed, in Paris, they had the place around them, they could mount a gigantic scaffolding, which was raised from week to week to the son of the erection of the monument. In New York, it was impossible, the base was too narrow for that. The workers turned tightrope and therefore they went up the pieces of this huge puzzle one by one, perched astride the metal structure Eiffel, much as they will usually do later for skyscrapers. The dangers were many and frequent accidents, especially when the statue began to climb. Copper coins were heavy, they were towed to the human strength by sets of pulleys to their approximate location, where workers were adjusting them to each other. At that time the island Bedloe like a puzzle before assembly: The various parts had all been removed from their boxes and lay on the ground, scattered. Technicians assembling them in the order required by the French, the pieces were arranged in order, but not specifically aligned, hence the cluttered that there could be that time on the island. 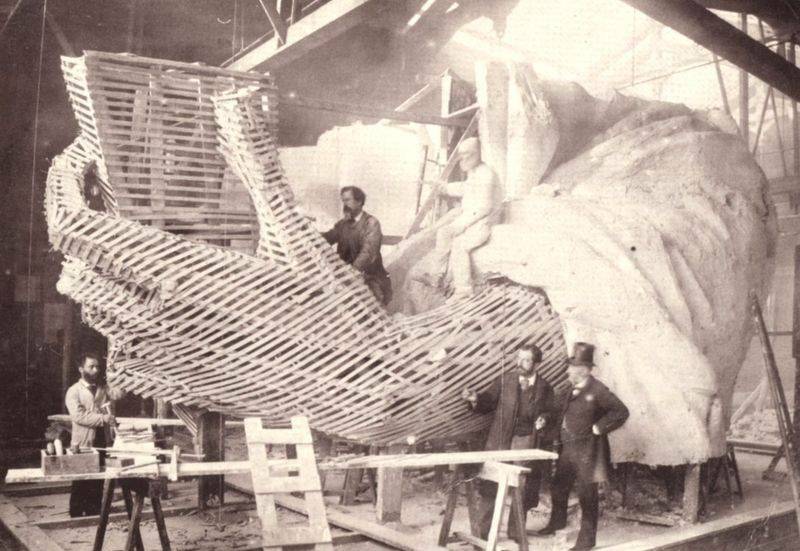 The assembly of the statue in its very beginning. Only the basement was mounted. On April 22, 1886, it's the end of the assembly of the metal skeleton, the copper plates will not be long to be assembled. We are waiting for the head to be permanently mounted. Push the statue of Bartholdi, torch and the rest in the ocean until the "freedom" in the country is such as to enable a colored man, industrious and harmless, living in the south, earn a decent life and that of her family, without being from kux ku klan [...], perhaps murdered, her wife and daughter outraged, and destroyed property. The idea of "freedom" of this country "illuminating the world" or even Patagonia, is quite ridiculous. This ticket appeared in the Gazette a month after her inauguration. Another cause of discontent on the day of the inauguration: There was no woman. Again the women of the time felt rightly ignored. Note that this statue celebrating the centennial of the Declaration of Independence of the United States, but that it was inaugurated 10 years too late. 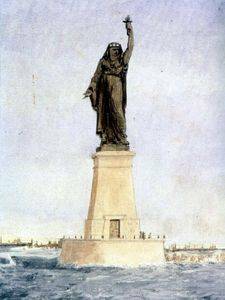 (1776 -1886 Declaration of Independence: Inauguration of the Statue of Liberty) Moreover Edouard de Laboulaye did not attend the ceremony, had died three years before, in 1883. As a reminder, it was he who had made the fiery speech that gave rise to the idea of building the statue in 1865. Auguste Bartholdi himself was of course present. He arrived in New York a few days earlier. It was he who, during the official speeches, sat on the balcony of the torch to drop the veil covering the face of the statue, to formalize the inauguration. The 1880s and the following decade were marked by high immigration mainly from Europe but also from Asia. 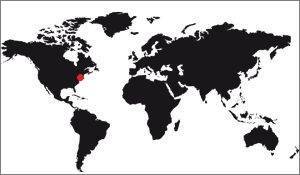 It followed the demand for labor from new large US industry, the era of industrialization being recently appeared. American workers were not prepared to work in the factory, and on the other hand the poor Europeans thought the United States find an Eldorado they were denied locally. But this influx of poor on US shores was not to the taste of American-born, who rebelled against what they called the dregs of Europe. 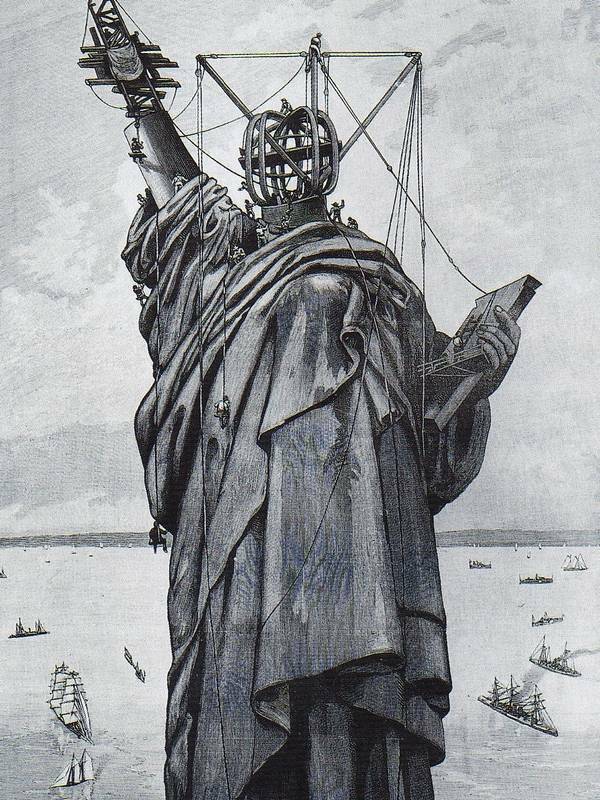 The cartoonists of the time took the Statue of Liberty as a symbol of rejection. It must be said that a law to protect the voting was underway to establish border controls. It was necessary to create retention areas in which migrants should wait before accepting the authorities to enter the US territory. This law, which was adopted in New York caused the creation of the country's largest immigration control center. It was originally to be on Bedloe's Island, which explains the cartoons where we see the statue invaded by hordes of the poor. Some prints show the disassembled statue, being sold for the metal. The statue has been, for a time, an anti-immigration symbol for Americans while migrants themselves, saw it as a symbol of hope. The nation has fed this paradox to face the reality of the country and the situation calmed down in mid 1890. 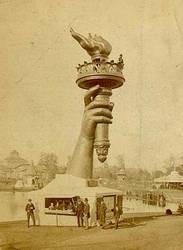 After the First World War a second wave of immigration arrived in the United States, and it is natural the statue replayed her role as father Fouettard by reverting to a time a symbol of the anti-immigrant struggle in the United States. It was not until the 30s that again for this immigration stops, which calmed nationalist ardor of some influential people in the United States. The Statue of Liberty became a symbol of freedom at that time, which was multiplied by the rise of Nazism in Europe. Faced with this rising ideology in Germany Republicans saw any country in the statue a symbol of Nazism refusal symbol even larger than the United States reaped new migrants every day, those fleeing the rise of this ideology in Europe. During the war the island was closed to the public from 30 July 1916 to 9 August of that year following her damage. Indeed it had been rather large damage in the explosion of a munitions depot in Jersey City by a German spy ring. This is also a result of this monumental explosion that we banned the visit of the arm and the torch, become too dangerous. 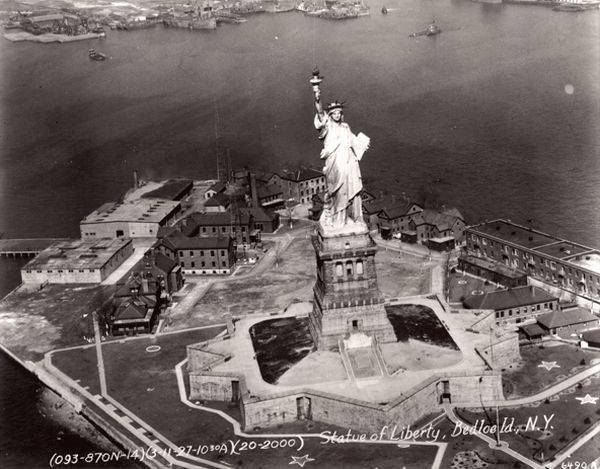 Erected in 1886, it is in 1936 that the Statue of Liberty celebrated its 50th anniversary. This anniversary was celebrated with great dignity ceremony in which participated a lot of people and was chaired by Theodore Roosevelt himself. During the day he made a memorable speech in which he insisted that the American nation was built on immigration and which constituted her heart. But he considered this fact as finished, for him the nation was constituted and had no need of newcomers. This is the reason for the halt to immigration during the 30 referred to above. The renovations to the statue were long in coming, no one wishing to finance necessary repairs to a statue that the Americans themselves were not wanted. The first major change came rather quickly. In 1916, 21 after its inauguration the original torch was replaced by a powerful beacon, which was visible 39Kms away. There was even a lighthouse keeper for 5 years, then the lighthouse was decommissioned. This replacement was necessary because the initial torch has hardly worked because the light they produced was very low, it was attenuated by the copper plates, and all she could do was continually attracting a cloud birds that finally differentiate the statue. That is why it had to be replaced quickly. 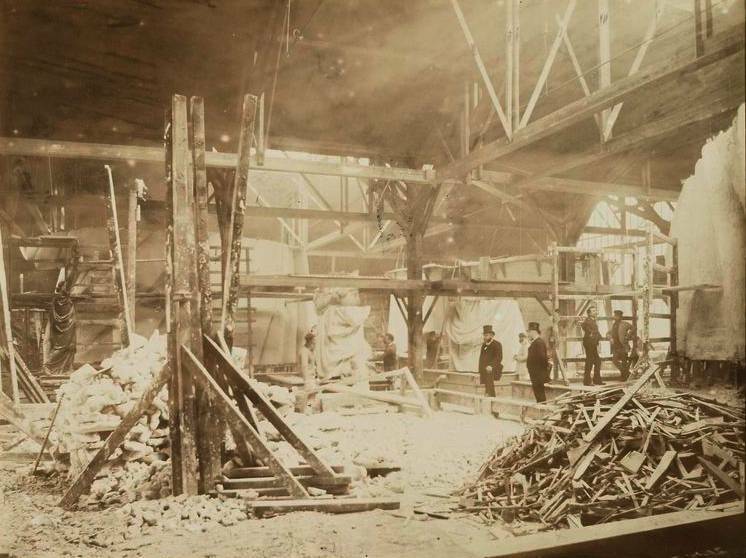 The first repairs had to be made during the First World War, following the explosion of the ammunition depot of Jersey City on July 30, 1916. One hundred rivets had dropped, plates were moved. The windows of the crown were shattered, too. All these repairs cost 100,000 dollars, a substantial sum for the time. Then in 1932, the statue underwent a first strengthening its internal structure. She received a good renovation between 1984 and 1986 to prepare the celebrations of its centenary. On this occasion we had installed an elevator in the basement, and above was replaced wrought iron frame with a stainless steel structure, better able to withstand the marine environment inherent in its location. It is also during this work that we replaced the original torch from the currently visible copy. The original torch is in the museum of the statue in the lobby. 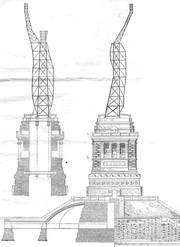 There is one other important information to know about the renovation: It's at this point that was rectified the internal structure of which Eiffel was shifted power away to the arm head as Bartholdi had wanted. This is a huge ceremony held in New York during the weekend of July 4, 1986. The idea for the project proponents, was to renovate the statue and take the opportunity to organize a big ceremony where we meddle Freedom and Immigration, as the statue has always been associated with US immigration. This was done during the "Liberty Weekend" four days during which there have been many initiatives in New York. The population of the city doubled, besides causing huge disappointment due to too many people who wanted to go there. The highlight of the ceremony was the outbreak of the new lighting of the statue, which took place simultaneously with the impressive firework that illuminated all of New York Bay. Was present at the ceremony the two heads of state concerned, Ronald Reagan for Americans and François Mitterand for the French. This ceremony had great repercussions on its popularity. Recently the statue was closed for nearly a year, in 2012 and to make renovations and securing, such as adding a fire escape. Also noteworthy are the closure of the statue because of "Shutdown" in 2012. It was under the presidency O'Bama he produced a rare phenomenon in American institutions: The budget of the US blockade parliament, following disagreements between Republicans and Democrats, forced the government to limit the expenses incurred on behalf of the State. For one day all non-essential services for the survival of the American Nation have been closed, the Statue of Liberty included. Chronology of the main events.